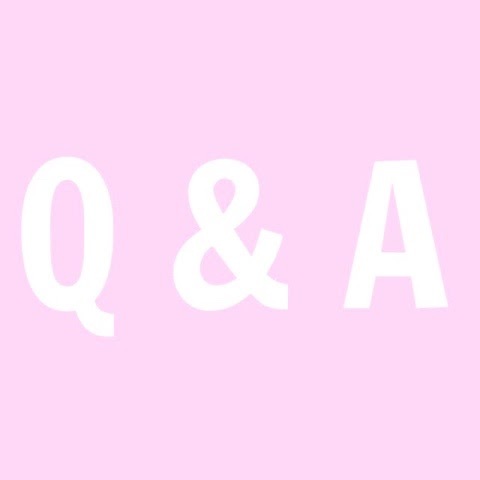 Thank you to everyone who asked me a question on my Instagram! I think these are great posts to do so that you can all get to know me a little better! The first makeup product I bought was the Dream Matte Mouse by Maybelline!! I used to love it so much and I cringe so much now at the mere thought of it haha!! I would say MAC fix +, even though it is very boring, it is amazing for setting and priming my makeup and is also great to make eye shadows more pigmented! However, I love Mac lipsticks, I have so many - eek!! I presume this is relating to TV. I don't really have any show in particular because I don't watch TV but I don't see the hype about Family Guy and stuff like that haha!! When I was really young I wanted to either be an actor or dancer. Myself and David have been official for almost 3 years now!! I think I would want to live 100 years! I think life is like a roller coaster, you need to have ups and downs to make you stronger! You need to have bad times to appreciate the good times. I'm a starbs addict haha!! I love the cool lime refreshas and iced caramel lattes in summer and when it's autumn/winter I love a cinnamon soya latte. I am 17 years old but my birthday is in 5 days - YAY! In the UK my favourite place to visit is London, I absolutely love London and I would love to live there when I'm older! My favourite place to visit is probably Spain, however I would love to travel around Europe and go to Italy and Greece!! No, I've never visited Canada! However, I am heading over to the states for a few weeks in the summer! It's my first time visiting the states and I am super excited!! Yes, I'm going to visit Ohio in America this summer! I am SO excited - especially to get to know David's family better and spend a lot of money in sephora!!! That is so hard because I love so many products but if I had to narrow it down I would say my Bobbi Brown Corrector! It is amazing!! And I love you too gal! I knew David from school because he was the year above me, we started talking through Facebook and we became such good friends and after a year of being good friends we started dating! My favourites are either the monkey faces or the pouting smiley one ( I hope that makes sense ) hahah!! My favourite colour is green. However, my favourite colour to wear is black or white. I get this question quite a lot! I would love to meet some of you, however it is finding the time to meet you all! I live in Scotland and the majority of you are based in different parts of England! I am hoping there may be opportunities soon to meet some of you! I hate lifts because I get so claustrophobic but I would hate to taste poo! If the lift was broken however I think I would lick the shoe to get it over and done with and then I think I would have to drink a bottle of listerine mouthwash hahahah!! I have really enjoyed this style of post and I would love to continue doing these if it is something you all like? Let me know? Lovely post, and you cant go wrong with London! What a fun post! I'm a Starbucks addict as well and all my friends would agree!